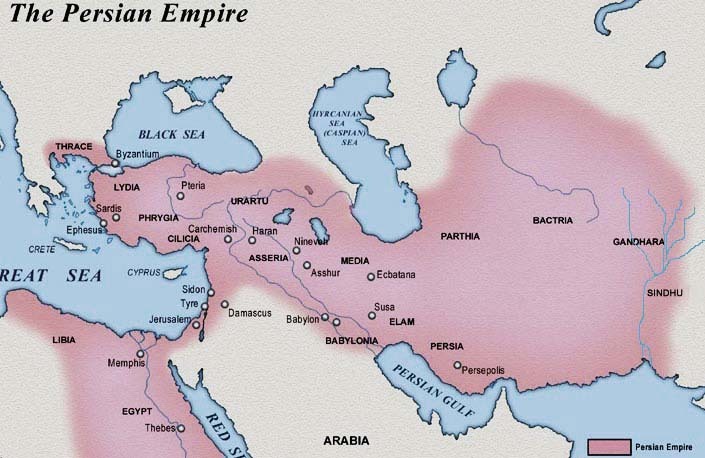 After Greek mercenaries left Psamtik III, the Persians conquered Pelusia and after that Memphis. Persians entered deeper into Egypt and captured Psamtik III. Herodotus mentioned how Cambyses in anger killed the sacred Apis bull, but it is considered that this is actually a reflection of Mitra’s cult, which with Persians arrived in Egypt. After coming to the throne in Persia, he turned Egypt into one of the satrapies and he set satraps Aryandes to the throne of Egypt. Aryandes began making coined money with his own image, which Darius did not like so in the 517 BC Aryandes was executed. Darius has established good relations with the egyptian clergy, and he studied Egyptian religious doctrine, which was not the case with the Cambyses. The statue of Darius was set in Heliopolis temple of God Atum (a copy was found in Susa). A statue of Darius shows Darius as a Pharaoh who brings sacrifice to the Egyptian gods. He also arranged an economic reconstruction of Egypt by finishing project of the channel between the Nile and the Red Sea. The stable situation in Egypt lasted until the Battle of Marathon in 490 BC. when the Egyptians rebelled. He manages to quell the uprising rebel and returned control over total territory of Egypt. He firmly ruled priesthood as well. After Xerxes’ death, Egypt was again in rebel and they had help of Athenians with 200 ships.